In according to objective condition of the loquat gardens such as the water resource facilities are weak and cultural qualities of the masses are in the poor areas, the Longba committee of communist Party of China and Government of Longba town put the development of loquat industry into the Five-year Development Program and try for the fund approving and initiating projects of China. 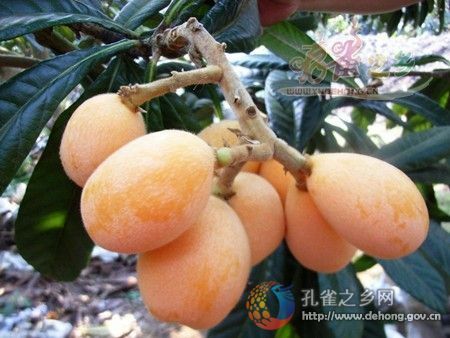 With the support of superior departments, many projects about loquat industry are being declared and put in practice. The town of Longba is a typical agricultural town with both hills and level grounds. Longba has the favorable climate and soil resources for developing environmental-friendly agriculture and green economy. The piilar industries of Longba are sugarcane and paddy rice for years. Because of single and irrational structure, the increase of the gain of agriculture and income of farmers is slowly. 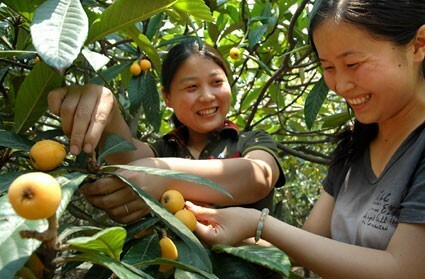 In order to optimize the agricultural structure, Longba started planting loquat from 2001. The supply of reputed loquat from Longba falls short of demand because of the adaptability, taste and quality of Longba loquat are superior than loquat place of origin. The local farmers tasted honey from planting loquat. At present, under the advocation of Longba committee of communist Party of China and Government of Longba town, the loquat basement with 5 thousand mu has been developed quickly.